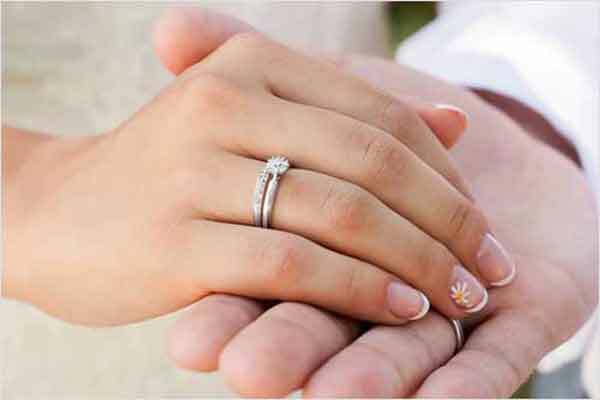 Having been placed in the impossible situation of having to wear both her late husband’s and new partner’s wedding rings at the same time, her solution was to change the position for her late husband’s ring. She had surely promised her late husband that she would always wear his ring, but not necessarily on her finger. Then by wearing it in her teeth, she would still have kept her promise to her late husband, wouldn’t she? Thus, her marvelous idea which would give her peace of mind, and which would satisfy her new partner to see his ring on her finger was just getting underway at the dentist’s office.